This is the second in a series of three articles on the current plans and process to demolish the Jefferson Park Golf Clubhouse. See Part I here. Soon after the first Olmsted Brothers preliminary report in 1903, and for two years after presentation of the 1912 Olmsted Seattle Park Plan, golfers lobbied the city to turn the planned 9-hole design into an 18-hole configuration. Among these pioneering golf activists were Seattle Park Commissioner E.C. Cheasty, and Sherwood Gillespy (1953-1912), who brought a petition with 1000 signatures to the City Council asking for an 18-hole course at Jefferson Park. Unfortunately, Sherwood Gillespy died in 1912, and his friend E.C Cheasty followed him the next year, passing away in 1913, never to play golf at Jefferson Park or know if they would succeed in bringing an 18-hole golf course to Beacon Hill. Fortunately, their tireless dedication did pay off in 1914 when Seattle hired a renowned golf course architect to rework the original Olmsted 9-hole design. To honor the efforts of Sherwood Gillespy, his friends commissioned a statue of him with sculptor Max Nielsen of Denmark, and placed it in front of the first golf clubhouse in 1915. 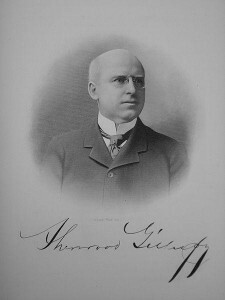 A round bronze plaque commemorates him with the inscription: “Erected by the friends of Sherwood Gillespy. A kindly, lovable man, an ardent golfer. The founder of the idea of a municipal golf course in Seattle.” Ninety seven years later, the weathered bronze statue of Sherwood Gillespy still stands in front of the Jefferson Park Golf Course Clubhouse, missing only his club. In 1914, after a decade long lobbying effort by golfers, Seattle hired Scottish born golf course designer Thomas Bendelow (1868-1936). 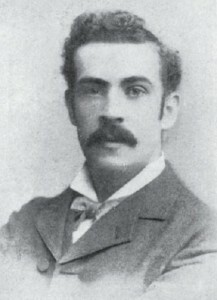 Known to work in a “naturalist” style, and often called “Olmstedian” in his approach, Thomas Bendelow was the logical choice to carry through the Olmsted vision into the 18-hole design. On May 12 of 1915, the Jefferson Park municipal golf course opened to the public. It was the first municipal golf course in Seattle. As testament to the timelessness of Bendelow’s design, the tees and fairways of the 18 remain much the same today as when the golf course first opened. In 1895, at the start of his career, he designed the first 18-hole municipal golf course in the America, converting a 9-hole course into an 18 at Van Cortlandt Park in the Bronx. Working for the Spalding Company (1900-1920), Tom Bendelow designed golf courses all across the United States. It is estimated he designed anywhere from 488 to 1000 golf courses throughout his career. He is well known as the architect of the famous Medinah Golf Courses outside of Chicago, home of many professional golf tournaments. In 2005, Tom Bendelow was inducted into the Golf Hall of Fame. Two years after the 1915 opening of the Jefferson Park Municipal Golf Course, Seattle continued a relationship with both the Olmsted Brothers firm and Thomas Bendelow for further development and design work on the golf course. In 1917, Thomas Bendelow returned to Jefferson Park to design a Par 3 golf course. In the same year, Frederick Dawson, an architect with the Olmsted Brothers firm, returned to Jefferson Park to give the Parks Department design advice for landscaping on the 18-hole golf course. 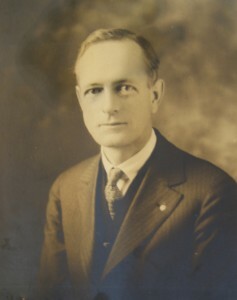 Dawson would later go on to take over operations of the Olmsted Brothers firm in Seattle and nationwide, after the death of John C. Olmsted in 1920. The first Jefferson Park Golf Clubhouse stood on the same site and orientation to the 18-hole golf course as the existing Clubhouse, though closer to Beacon Avenue in the location of the current putting greens. Hastily built to coincide with the opening of the 18-hole golf course in 1915, and unloved by golfers, the poorly constructed first clubhouse burned to the ground in 1919. In 1920, The Parks Department quickly built the second clubhouse partially on top of the foundations of the first. Many golfers were unhappy about yet another poorly designed and constructed clubhouse that did not measure up to the Bendelow designed 18-hole golf course. Some golfers began to lobby the city to finally build a high quality golf clubhouse that would match the naturalism and “Olmstedian” style of the golf course. Fifteen years later, their wish would be granted. In 1935, the lobbying efforts of golfers paid off once again when Seattle hired the right architect to put the finishing touch on Thomas Bendelow’s 18 hole Golf Course at Jefferson Park. Archibald Torbitt (1883-1958) worked in Missouri from 1907 to 1917 as a principal partner in Miller, Opel, and Torbitt architects. From the late 1910s through the mid-1920s, he practiced in Longview, Washington. Torbit was later a partner in the Seattle firm Huntington and Torbitt from the late 1920s and worked in Seattle until his death in the late 1950s. His partner, Daniel Huntington, is attributed as influencing the design of Seattle Fire Station #13 at the Northeast corner of Jefferson Park at Spokane and Beacon, a building recently designated a landmark by the Preservation Board. Designed by Archibald N. Torbitt in 1935, the one-and-a-half-story colonial revival style Jefferson Park Municipal Golf Clubhouse exhibits the principal characteristics recommended for buildings in public parks in the Olmsted Brothers 1909 plan. The Olmsted Plan recommends one- to one-and-a-half-story structures of craftsman or rustic design, “tucked back into the landscape to be unobtrusive.” (page 41, figure 19, Historic Resources Plan by Makers Architects, Seattle Department of Parks and Recreation, 2004). Aside from some changes to the interior and enclosure of the front porch in the mid 1950s, the clubhouse remains mostly as it was in 1936 with many original exterior and interior features and finishes intact, including a six-foot-wide brick fireplace in the lobby. There are six buildings in Washington designed by Archibald Torbitt that are on the National and State Registers of Historic Places. The Jefferson Park Golf Clubhouse is the only known Torbitt building in Seattle. The 2004 Historic Resources Plan also lists Jefferson Park under “Olmsted Era Remaining Parks” (page 33) and the Jefferson Park Golf Course Clubhouse under “Federal Relief 1935-1943 Buildings and Structures” (page 56), and under “Olmsted Brothers 1903-1941 Buildings and Structures” (page 43). In the summer of 1936, the same year Thomas Bendelow died, twenty one years of steady lobbying paid off for golfers once again when Seattle built the third golf clubhouse in the same location of the poorly constructed second, which was demolished. Unlike the previous two shoddy structures which were always viewed as temporary, the third building is the high quality construction, architect-designed, properly-styled clubhouse that could not be afforded in 1915. But this time they had help from Washington, D.C.
With the assistance of an $8600 federal relief era grant from the Public Works Administration (PWA) and approval of the contract by the PWA, construction began in February, 1936. The Parks Department opened the clubhouse to the public on July 25 and 26, 1936. The Jefferson Park Golf Club hosted a “Coming of Age” party with a tournament on both days to celebrate the grand opening of the third and final golf clubhouse, and the 21st anniversary of the 18-hole golf course. (“Jefferson Park Coming of Age Party Planned,” Seattle Daily Times, Jun 21, 1936). Coming next: The vanishing history of Jefferson Park Golf, Part III: Golfing clubs and champions: united by the right to compete. It’s time to step in to the 21st Century folks.. lots of people use the facility and it’s out of date for the times. Seattle’s population in 1940 was 504,980. The sculpture/fountain is one of the earliest public artworks in the city of Seattle. I’m surprised there has not been more talk about what is going to happen to it in this process. Especially in light of the Mayors Office of Arts and Cultural Affairs continued siphoning of funding away from Beacon Hill. Thank you for compiling such an informative and enlightening history of Jefferson Park. They really need to put a club back in the statue’s hand. What does the population of King County have to do with the Jefferson Park clubhouse? Just as the population has grown, so have the number of golf facilities available. I’m glad to see this issue up for serious consideration, and not just getting some sort of rubber stamp. Just how many taxpayers dollars went to that architectural firm for that nomination presentation? Is it in their vested interest in seeing the clubhouse go so that they can get a commission? Isn’t that an Ethics violation? If not, it should be. I say keep the Clubhouse, and restore it. If the golf course needs more space for administrative or retail purposes, there’s lots of room to build elsewhere.